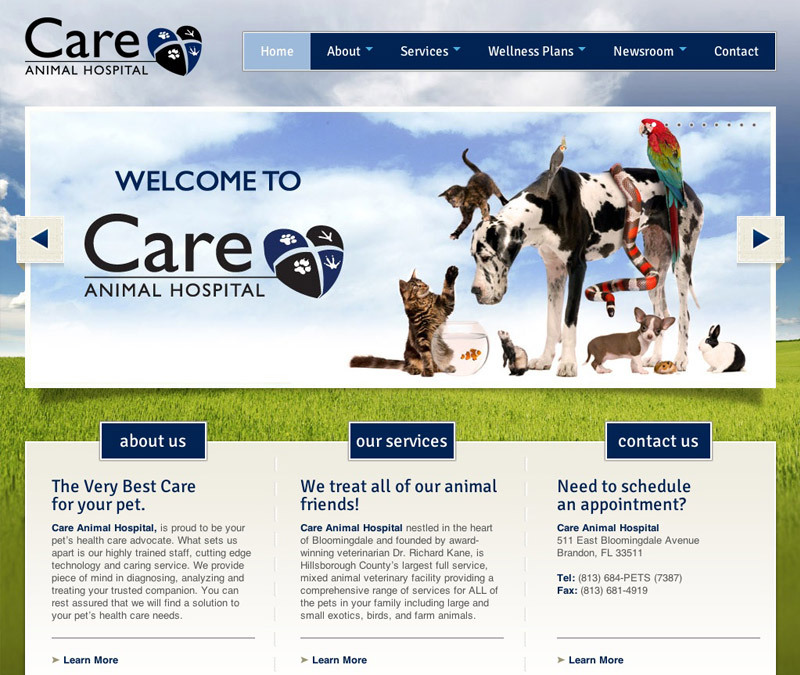 Care Animal Hospital is a large and small animal practice in Brandon, FL. They treat any kind pet from Lions to lizards. We helped them update their existing site and maintain their SEO.